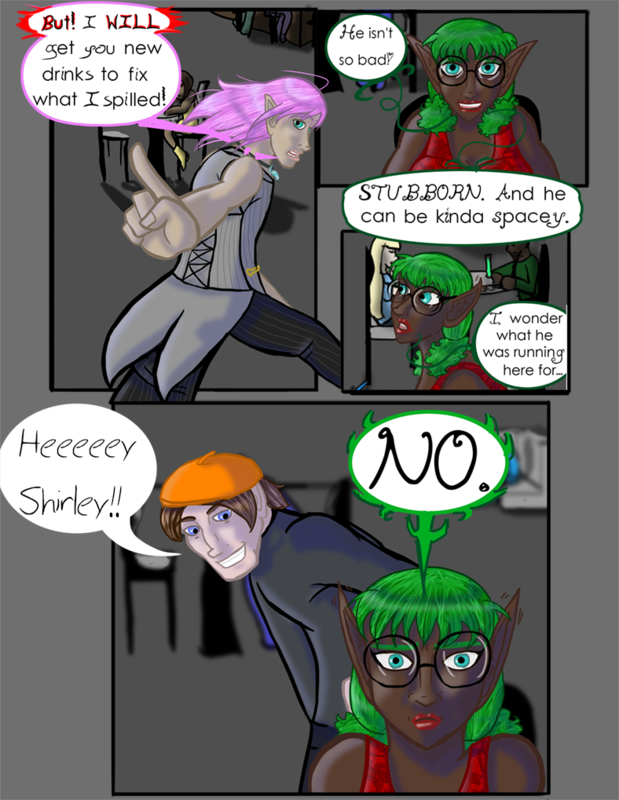 Chapter 02- The Pub - "Chapter 2 Page 8"
Siyav: But! I WILL get you new drinks to fix what I spilled! Shirley: He isn’t so bad! STUBBORN. And he can be kinda spacey.